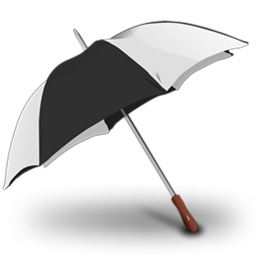 To find out station IDs just browse the map to the desired location, click on the weather icon then follow the link to weather details. Register in confidence, Spincloud uses OpenId. So if you have an email account with Yahoo or Gmail you can simply sign-on using your existing online identity. Build your list of favorites and, your home location and share your kind of weather with your friends. Oh, we support Facebook identities too. Whenever you check the weahter details for a location you can log your thoughts in the comment box, courtesy Google Friend Connect. 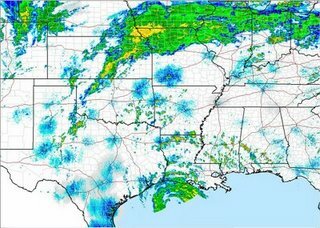 Browse the map to any US location and the weather snapshot will display forecasts for all available locations at once. The map snapshot will show 3-day forecast; to access the full 7 day forecast just click on the map icon or access the weather station details page. The radar overlay presented as a transparent overlay over the main map area. It can be accessed through the Radar button visible on the top-left area of the map. The imagery is updated every 20 minutes and currently available only for mainland US and parts of southern Canada. 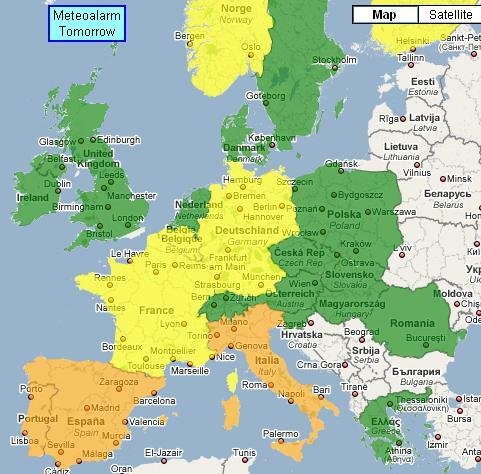 Meteoalarm is a weather warning system developed in Europe that shows today's and tomorrow's weather warnings using a color scheme from green to red. You can see the Meteoalarm warnings as an overlay mashed with the main map view. If you enjoy the meteoalarm overlay why not getting the warnings directly from Twitter? Subscribe to @Meteoalarm Twitter stream and you'll have it! The stream is updated twice a day so you'll get the most up-to date information. Get a local feeling of what the places you browse look like by browsing scenic pictures from the spot while learning about current weather conditions.